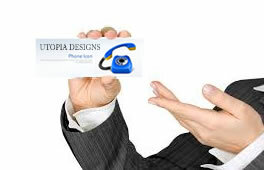 Utopia Designs: Outstanding design and installation for homes. We have been operating for over 25 years, and offers a complete design and installation service. We use a trusted team of experienced installers enabling us to oversee the project from start to finish. 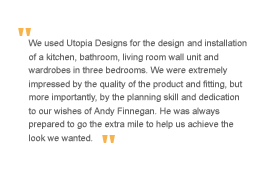 "Just to say a big Thank you to you and the Team for giving us a fantastic new kitchen. From start to finish it was hassle free and completed on time. Price was extremely good and we would no hesitate to recommend you to anyone." 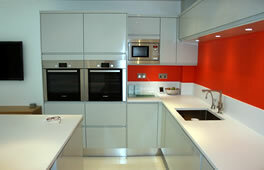 See information about our Painted, Classic and Contemporary Kitchens. 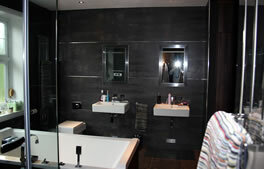 See information about our Beautiful Bathrooms. 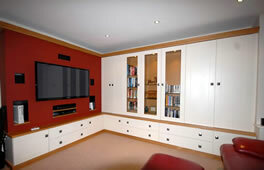 See examples of our Cinema/TV rooms..
See examples of our Home Studies. 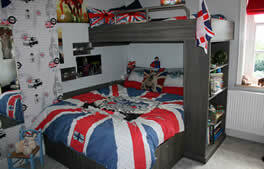 See examples of our Bedrooms. As featured in 25 Beautiful Homes July 2012. This is a handmade in-frame kitchen combining laquered oak and painted doors with modern curved features and incorporating rounded Corian worktops with inlay lighting. We would love to hear from you and be given the chance to show you how we can create the Kitchen, Bathroom or Home Cinema Roomof your dreams. We offer a Free, no Obligation Home visit. Get in touch today! © Utopia Designs. All rights reserved.